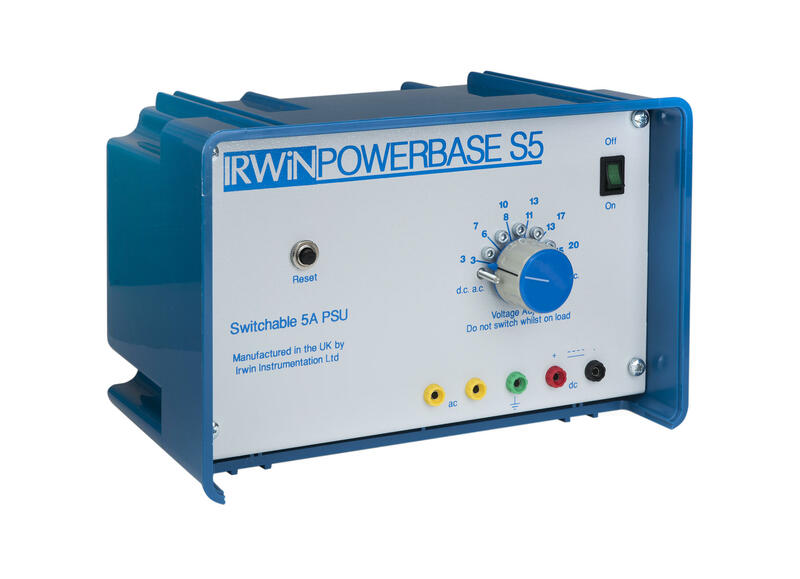 The Powerbase S5 is a great value power supply that provides a range of AC and DC voltages at 5A. Smoothing is achieved by a 4700uF capacitor. The supply has safe lockable DC and AC outputs ensuring the unit does not exceed the voltage required for experiments carried out by students.